Ithu Namma Paattu La is a music-based show on Astro Vaanavil (Ch201) which focuses on Malaysia’s Tamil music industry. The artist who is featured in the 'Rewind' section is Malaysian legend Darkkey, our king of Samba Rock. Do you know that his song 'Akkamaghe' was featured in a Kollywood movie in the year 2013, and he was not even aware of it until the movie came out? The first 'Artist Of The Week' is Mugen Rao MGR, who is well known for his sad songs. He has released 'Pogiren' recently together with Prashan Sean, which reached 1.9 million views on YouTube within a short period of time. 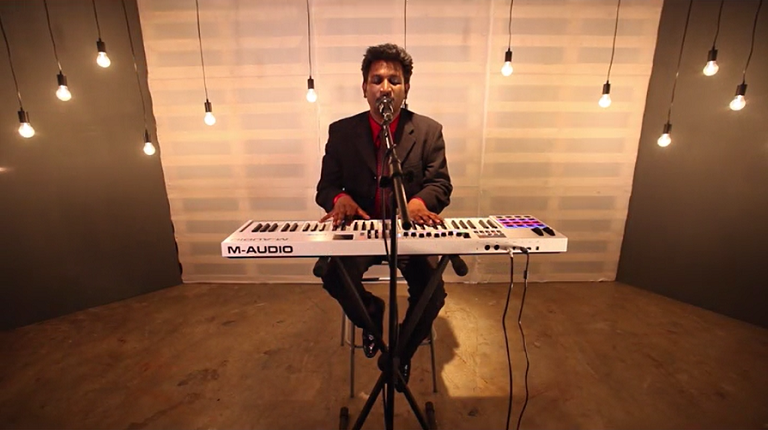 Malaysia's favourite singer Dhilip Varman has joined us on the 'Unplugged' segment for a short chat and a wonderful unplugged performance! Meanwhile, 'Enna Nadakuthu' segment focuses on Psychounit and Datin Sri Shaila who give different concepts every single time. Do you know that Psychounit has started selling their songs on Pendrives instead of the usual CDs?